The first week in February: a date and time every NBA executive, player, and serious fan knows. A date known as the NBA trade deadline. A deadline that can completely change teams and even the outcome of the season. A deadline that, once passed, can create title contenders or lottery pick winners. This trade deadline had been no different, especially with some franchise changing names on the market. While there have only been a few trades so far, one has caught the eye of nearly every fan. On January 31, 2019, the New York Knicks agreed to trade their young superstar Kristaps Porzingis, along with role players Tim Hardaway, Courtney Lee, and Trey Burke, to the Dallas Mavericks in return for Dennis Smith Jr., Deandre Jordan, Wesley Matthews, and two future first round draft picks. According to ESPN, Porzingis “no longer wanted to be a part of the Knicks.” The true reasons for the trade aren’t public, but Porzingis captioned an Instagram story “the truth will come out :)”. Interpret this how you want. Regardless of the reasons behind the trade, this is a blockbuster deal. 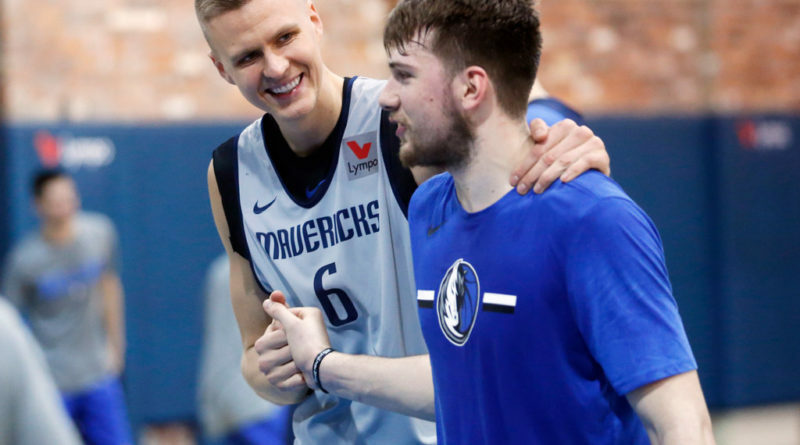 From the Mavericks’ perspective, they get an all-star,Porzingis, who will complement the probable rookie of the year, Luka Doncic, for years to come. Porzingis, who is coming off of an ACL injury, is only in his fourth season and already being compared to future Hall of Famer Dirk Nowitzki. His combination of size, speed, and shooting ability create a very rare set of talents not often seen in the NBA. His abilities should pair nicely with those of Doncic, a smooth, highly skilled nineteen year old rookie from Slovenia. 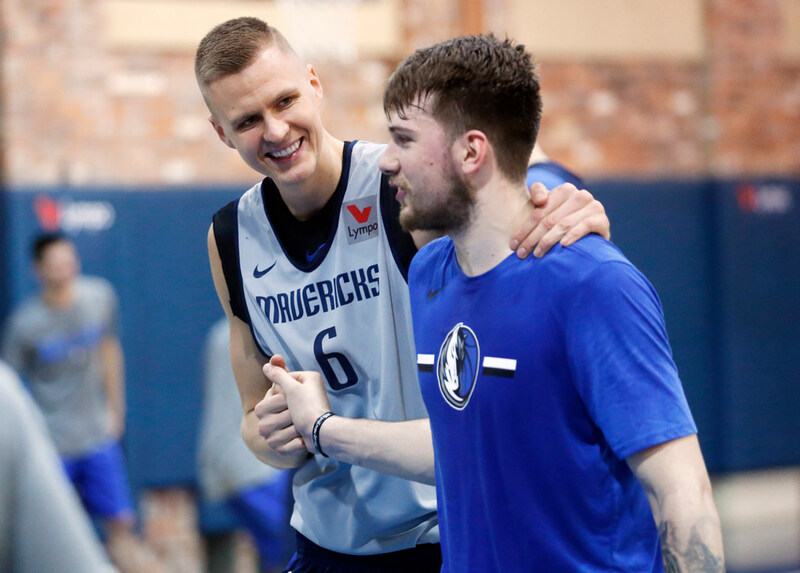 This duo is drawing early comparisons to the Steve Nash and Dirk Nowitzki duo that won the Mavericks many games, so it is pretty easy to see why not only Mavericks fans, but NBA fans, are excited to watch what happens. The Knicks, on the other hand, were not trying to secure superstar talent, but rather create cap space to pursue free agents this summer. The Knicks are hopeful that they will now be able to draw two superstars to the franchise. With players like Kevin Durant, Kyrie Irving, Klay Thompson, and Kawhi Leonard all on the market this upcoming summer, the Knicks could have the potential to stop the recent sputtering of the franchise and once again become a title contender. The current goal of the Knicks season now seems to be tanking to receive a high lottery pick. This year’s NBA draft class is loaded potential future superstars, such as Zion Williamson, R.J. Barrett, or Ja Morant, so it’s not a terrible move on the Knicks part. Another player who could allow a team to instantly become a title contender is current New Orleans Pelicans center Anthony Davis. Davis has been the biggest name shopped around the trade block after he requested a trade last week. Davis, a MVP-caliber player who can change the trajectory of a franchise, feels he deserves better than New Orleans. The Pelicans, a very small franchise with little history of winning, have failed to put superstars around Davis. Davis wants to win, it’s simple, and being traded would give Davis the best opportunity to win. Davis, who is set to be a free agent in the summer of 2020, has been open about a list of teams he would be willing to sign with long-term if traded to them. According to ESPN, this list includes the Lakers, Knicks, Bucks, and Clippers –– all teams that are in big money markets or have the potential to make a Finals run in the upcoming years. It is no secret that the Los Angeles Lakers are heavily pursuing Davis. In recent days, the Lakers have offered the Pelicans every young, talented player they have. The most recent trade offer included players like Kyle Kuzma, Lonzo Ball, and Brandon Ingram, as well as two future first round picks. All of these players were drafted in the last couple years, and prior to Lebron James signing in free agency, were seen as potential cornerstones for the franchise.The fact that the Lakers front office is willing to trade the young future of the team, and maybe even the league, is ridiculous. The front office, however, feels as though it is worth it in order to create a “super team” of LeBron James and Anthony Davis. The organization, as well as James, have been vocal about the fact the acquiring Davis would put the storied franchise in a prime position to compete for titles in the talented Western Conference. Back to the storied franchise: although where Davis will end up is uncertain, the price a team is going to have “pay” for him in assets will certainly be high. As for other potential trades to look out for before the deadline, the Memphis Grizzlies are shopping top players Mike Conley and Marc Gasol. This should come as no surprise, as trading Conley and Gasol gives the Grizzlies the best option to acquire young talent and draft picks to build around rookie Jaren Jackson. Other bigger name players on the trade market include Kevin Love, Markelle Fultz, and Derrick Favors. Love and Favors have contracts that their teams aren’t too willing to pay. Fultz’s future is unsure, and this may be Philadelphia’s best opportunity to get the most out of a trade for him. Overall, don’t be surprised if more names start to enter the trading block as the deadline approaches. The NBA trade deadline is an exciting time for the league and its fans. Only time will tell which players end up where, but expect surprises that will leave fans scratching their heads and asking “was that really worth it?” Once the clock strikes 3 p.m. on February 7th, the outcome of the season may completely change, and that’s what’s so exciting about the NBA trade deadline.